Gunvor USA has closed the syndication of a US$1bn borrowing base credit facility, adding three new banks to the syndicate of lenders. The Gunvor Group subsidiary will use the funds to support its operations in the US and Canada, as well as its expansion in Latin America. The facility launched at US$900mn and was scaled back from an oversubscription of US$1.1bn. It is the second renewal and expansion of the energy commodity trader’s original borrowing base, which launched in 2016 at US$500mn. The 2017 facility was increased to US$875mn. The new facility is jointly lead arranged by Rabobank, which also serves as administrative agent, ABN Amro, ING, Natixis, Société Générale and Crédit Agricole. The syndicate also includes Mizuho Bank and SMBC, as well as new banks Industrial and Commercial Bank of China, Commonwealth Bank of Australia and Credit Suisse. 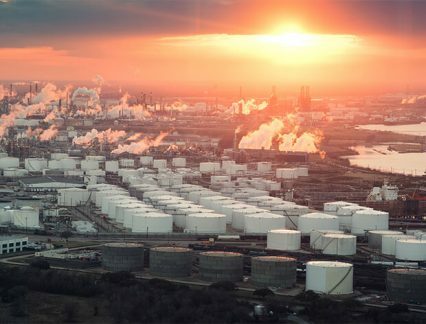 Gunvor USA has three offices in the region: in Houston, Texas, and Stamford, Connecticut, both of which focus on trading refined products, crude oil and natural gas, and Calgary, Canada, which focuses on crude oil.